Metal Gear Solid 5 Confirmed? So Hideo’s teaser site has received yet another update and this time it’s not so subtle. After watching the countdown for a while the fellow on my right suddenly appeared in full clarity. 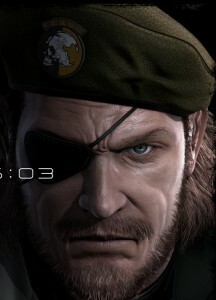 It appears to be Big Boss from the Metal Gear Solid series which really does make me feel that we are going to be hearing about MGS5 anyday now. Also added are some new letters being flashed to the screen and at last count we had. Or I guess it could be E3 Press Reveal? Previous article EvoGames/Lazygamer – Competition Winner Announced! Next article Bioshock 2 Dated – South Africa Getting It Before North America?